What is a Software Designer and How Do I Become One? What Do Software Designers Do? & How Does One Enter This Field? Are you interested in computers, and thinking of pursuing a career in software design so that you can create software applications? A software designer works as part of a collaborate development team to help create software that meets the management's or client's needs, and in an effective and cost-efficient manner. If you love computers, math, programming, and problem-solving, this might be a good career choice for you. Designing is like solving a unique problem, yet there is no one right answer. If you're not familiar with software design, you will learn that it is only one, albeit important, phase of software development. Developing software involves many important steps and phases, just as any product does. The product's efficacy, the customer's satisfaction, and the cost-effectiveness are all as important as they are for any developed hardware product, and are likewise reliant on a multi-stepped and sometimes complicated process. The actual design, which can be thought of as a blue print, cannot begin until the requirements are determined. Software requirements documents help determine what the software must accomplish. After this step, the actual design is done, and then the coding can take place, after which testing, debugging, and maintenance occur. Designing is like solving a unique problem. There is no one right answer and no immediate testing at that phase. A designer's challenge is to work within the constraints and to incorporate the requirements. Designers can use different types of models to create their “blue print” which will then be passed onto the “manufacturers” or in this case, the coders or programmers who actually write the program. They can use something as simple as a flow chart or other diagrams to illustrate the entire architecture of the software, and this will serve as a tool for the programmers and collaborative team who is developing the software. There are different methods of designing software, but generally it requires developing an initial design and a big picture before the actual coding starts. Designers can vary by method, designing almost all of it upfront, or alternatively designing more simplistically and then implementing more requirements by extension. Regardless of method, it is always easier to try different designs at early stages and to discover problems or bugs early on in the development cycle than to discover problems and have to make changes in the design after code has been written. A common choice is to pursue a four-year Bachelor of Science in software engineering or in computer science. A bachelor's degree will be fairly comprehensive and will cover coursework in mathematics and engineering as well as computer science. 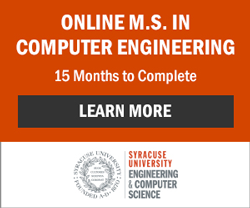 Your computer science courses will go over all aspects of software creation, from requirements, to designing, developing, and testing and maintenance, as well as different types of systems. Some colleges and universities have specific degree programs in software design. If you know you want to focus on this niche, perhaps this type of program is best for you. If you have the computer skills or take sufficient computer science electives, you could also earn a related degree, such as in business administration or mathematics. An Associate Degree is less likely to get you a foothold as a software designer, but you could possibly earn some work experience with an Associate of Science Degree and then return to complete your bachelor's degree or even a Master's. According to the Bureau of Labor Statistics, the median pay for software developers is $90,000 annually, with a very good outlook for job growth. Software development in general is a field that is constantly evolving and becoming more complex and specialized, ensuring the need for qualified individuals. It's important to be familiar with the various aspects of it, and to earn a solid education and background in computer systems. You want to ensure that your education and skills are current and strong enough to carry you through the many evolving changes of computer systems. Continuing education will likewise be a necessity in this career. You will not only need a solid educational foundation on which to build, but you will need to be interested in continually expanding your knowledge and learning about new developments in this dynamic field. If you love computers and learning, this aspect of the field also make the job exciting and can possibly open new doors to you as well.